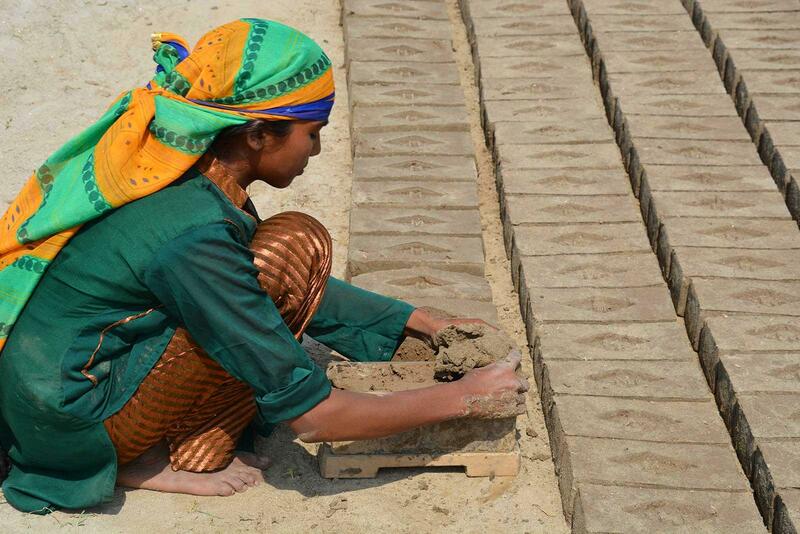 Every afternoon when she gets home from school Nisha makes bricks. Her family are debt slaves and Nisha must help to pay off their debt. Nisha has learned about the rights of the child through the World’s Children’s Prize Program. Now she wants to be part of the No Litter Generation and collect litter on No Litter Day on 16 May and teach others why they should stop littering! “My sister and mother get up at four every morning to make bricks until late evening. My mother borrowed a big sum from the brick kiln owner for treatment for my father. Since then we are like slaves to the owner. “After school I cook lunch. I then bring lunch to my mother and sister. I stay with them and we work until the evening. I make two hundred bricks every day. “The owner and the munshi (supervisor) do not treat the working children well. They shout at us and often beat us cruelly. I become sad and speed up my work. I think that if I make more bricks we will be able to pay back our debt and get freedom from this work. “The rest of the evening I do my homework. We can only buy clothes or shoes at Christmas, but thank God we have the opportunity to go to school. I work hard at my education. I want to be a doctor and open a hospital. I will then buy clothes and shoes for my mother and sister and they will not have to work at the brick kiln any longer. I will never leave school because I know that education is the only way to make life better. “I learnt that I have rights, that all children are important and that everyone should respect our rights. Here everybody thinks that boys are better than us girls. This must change and girls must be respected! “I like the idea of us being the No Litter Generation. Litter can be bad for everyone, people and animals. We must stop throwing litter everywhere and teach the adults to stop doing that. It will be nice to take part in No Litter Day together with children in other countries. 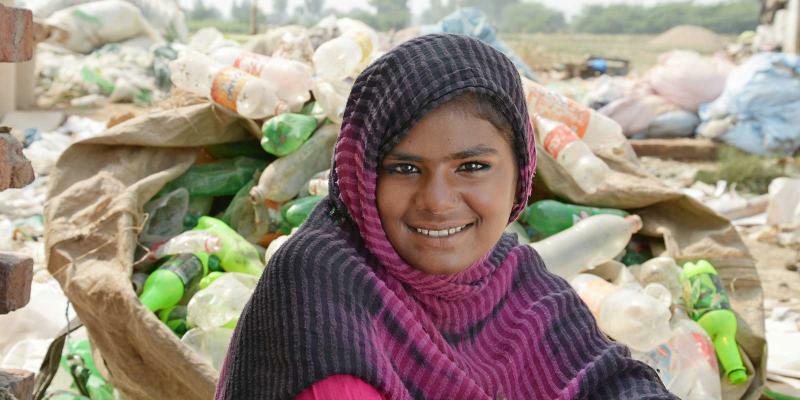 Nisha and her friends will sell the litter that they pick during No Litter Day to the vendors. The money will be used for their school costs. 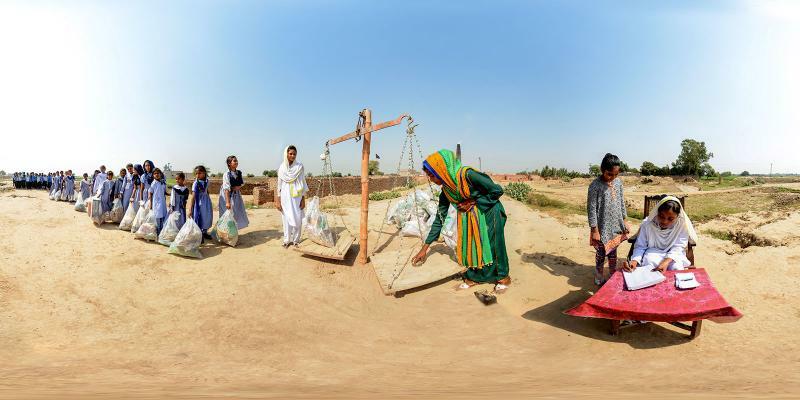 Nisha’s No Litter Day in Pakistan in 360 VR! Use the arrows in the image to move around, and click on the purple hotspots to learn more! Of course, it is even more effective if you put on VR-glasses! "I weighed all the litter we picked and we made a note of the weight each time." 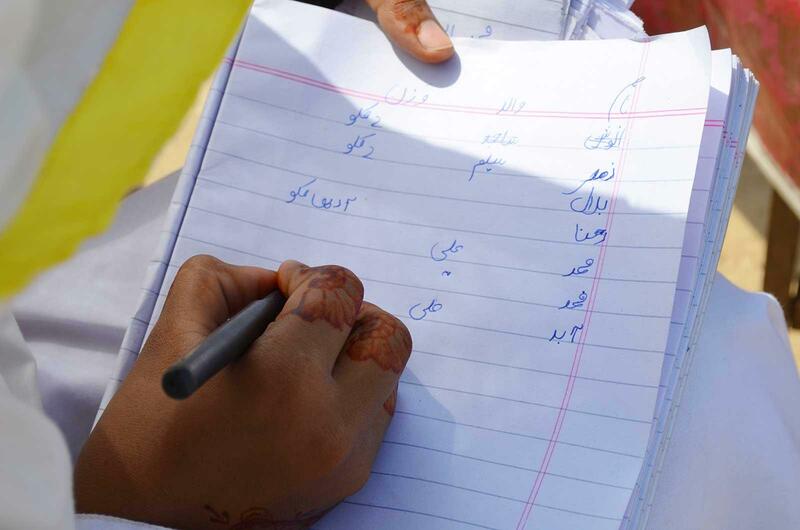 Sidra: A miracle going to school. Sidra, 12, has learned about the rights of the child through the World’s Children’s Prize Program.